The Baker Arts Center, in conjunction with the Needle and Friends Quilt Guild will host a “Quilts of Valor Ceremony this Saturday morning at 10:00am inside the Baker. 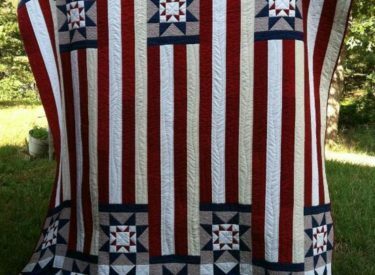 This will be the largest Quilts of Valor events ever put on by the Guild as 15 veterans will receive their Quilts and be recognized for their service during the ceremony. The public is invited to attend this event and help honor these local heroes. Light refreshments will be served. For more information, call the Baker Arts Ceremony at 620-624-2810. The Baker Arts Center is located at 624 N. Pershing in Liberal.